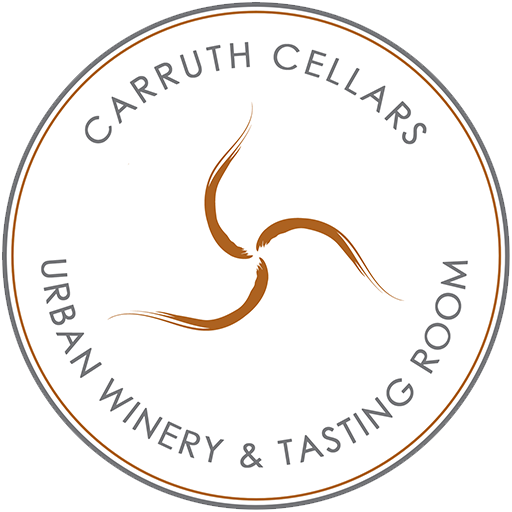 Carruth Cellars is making award-winning wine with love & gratitude from California’s best appellations. We bring Napa, Sonoma, Paso Robles, Lake County, Mendocino, and Willamette to the beach and invite you to be a part of the process. We like to call it “Bringing grapes to the people”. Members enjoy locally made wine from some of the worlds best regions, are first to know about events, plus get discounts on just about everything! Each month, our winemakers hand select a bottle of wine for you to take home! We give our members 20% off wine purchases, 25% off cases of wine, discounts on Carruth events and on our venues when you book a private event! FIRST TO KNOW ABOUT WINERY HAPPENINGS! Our members are first to know about wine releases, events, when we bottle and when grapes are in the house! Membership benefits are available at all Carruth locations: Solana Beach, Carlsbad and Little Italy! Refer a member, get a glass of wine! We offer a “shippers club” for those who do not live near our winery. Get all the perks listed above and 6 bottles of wine shipped to your door twice a year! We’ll send you an email detailing your shipment and letting you know it’s on the way in the Spring and the Fall. Love it and have to have it? Sign up below! We offer Gift Memberships so you can gift a wine club membership to your wine loving loved one. Our Gift Memberships last 6 months and can be paid for in full at time of purchase or monthly. Order your gift membership using the form below or visit one of our locations! Have questions? scroll to the bottom of this page and reach out to our wine club department directly. *Wine club terms and conditions: Please bring form of identification with you each time you visit. Wine club members receive 1 complimentary tasting flight plus 1 additional complimentary tasting flight for a guest. Wine club members do not qualify as the complimentary guest. Complimentary tastings are limited to one visit per week. Limit of 2 complimentary tastings per account, per week. A week begins on Monday and ends on Sunday. Unused complimentary tastings do not roll over. Membership benefits are available at all of our locations, however we ask that your monthly bottle is picked up from your chosen pick up location only. If we sell out of the monthly club wine before you have a chance to pick up, you will be offered a replacement bottle. Members have 12 months to pick up club wine from date of billing. Club wine not picked up will expire after 12 months. Club membership may be cancelled at any time with a written notice after 6 club pick-ups or shipments without further obligation, except wine billed or shipped prior to receipt of notice. Pick up club is billed $39.99 plus tax monthly. Shipping club is billed $240 plus tax and shipping with each scheduled shipment. Club shipments are scheduled for Spring and Fall and are subject to change pending extreme weather conditions that may negatively impact the quality of the wine. Wine Club is subject to change at any time. Carruth Cellars is committed to protecting your privacy. Were you referred by a wine club member? Current members who need to regretfully cancel their club should click here, we’re sad to see you go!